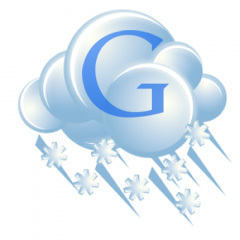 Home > Google News > Google Updates > Google Search Algorithm Juno Blizzard Coming? Google Search Algorithm Juno Blizzard Coming? On Friday, we reported on some early chatter around a possible Google update. That is now heating up, or should I say getting turbulent as Winter Storm Juno threatens the east coast with serious blizzard conditions. So, nobody else is seeing some major churn today? Traffic is high, conversions non existent. This is a record sales day historically. Made 1 conversion all day. #*$! ridiculous. Seeing big changes in serps. First 10 results are only brands now. Related or not. Smaller ecoms are complete out of range now. In my niche Amazon took a nice noise dive. ebay outranks Amazon in many cases now. Mozcast shows some higher than normal weather patterns in the Google search results. SERPs.com, SERPMetrics, Algoroo and others show a little bit more fluctuations than normal in the past 30-days. So maybe we are about to have our first Google algorithm storm for the first time this 2015, as Winter Storm Juno and the major blizzard approaches the east coast of America.